Mega Evolution rule : You may only Mega-Evolve one in a battle. Flip a coin. If heads, prevent all effects of an attack, including damage, done to Mega Monika EX During opponent's next turn. If tails, this attack does nothing. 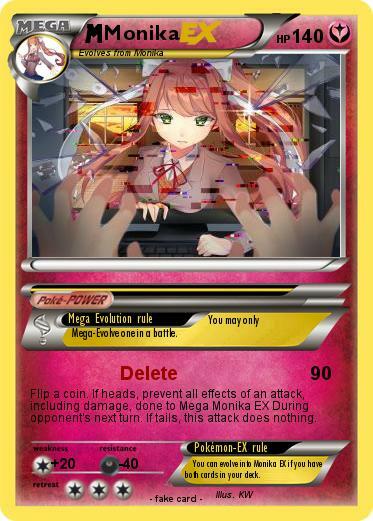 Pokémon-EX rule : You can evolve into Monika EX if you have both cards in your deck.